"The goal is to reach those who don’t know much about the Holocaust, or who might be susceptible to those who deny it, and to remind the world that such horrors could happen again. Using the tools of social media we hope to engage the next generation, because, soon, it will be their responsibility to tell the story and ensure that humanity never forget. "Auschwitz-Birkenau was the Nazis’ biggest killing site and is the best-known symbol for the Shoah world-wide. 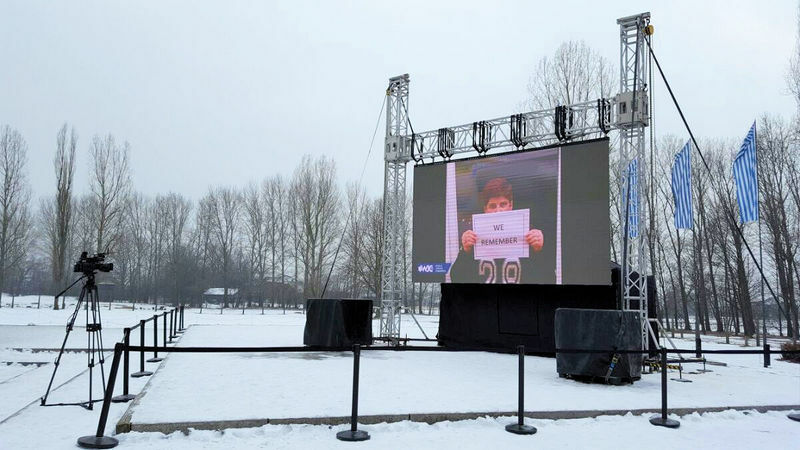 "We thank the Auschwitz-Birkenau Memorial and Museum for allowing the screening on the grounds of the former death camp, and for supporting our campaign,” said World Jewish Congress CEO Robert Singer.